Cele to provide reasons why McBride's contract won't be renewed - SABC News - Breaking news, special reports, world, business, sport coverage of all South African current events. Africa's news leader. 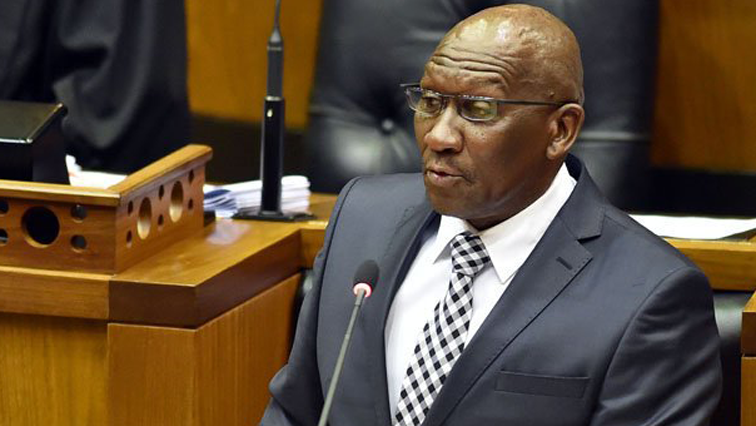 Police Minister Bheki Cele informed McBride that his contract, ending 28 February, would not be renewed. Police Minister, Bheki Cele, must provide written reasons to Parliament’s Police Committee on why he does not want the contract of IPID boss, Robert McBride, renewed. Cele informed McBride that his contract, ending 28 February, would not be renewed. McBride took him to court, arguing it should be a decision of the committee. In a draft order handed to the High Court in Gauteng on Tuesday, the two parties agreed that Cele’s decision was not final and that the committee should either confirm or reject it. The committee met Thursday morning to juggle around its programme. It has must report back to the court by the 28th of February. The Police committee is working on a tight deadline. Besides all the work it must finalise before Parliament rises in a few weeks, they have to report back to court in less than two weeks. Chairperson for the Committee, Francois Beukman, says by next week the minister must submit his reasons. The DA’s spokesperson on Police, Diane Kohler-Barnard, says it was never Cele’s decision to make. ANC MP, Leonard Ramatlakane, says while there is an option to ask for an extension, they should stick to the deadline. This entry was posted on 14 Feb 2019,02:11PM at 2:11 PM and is filed under Politics, News, Homepage Featured Story Slider. You can follow any responses to this entry through the RSS 2.0 feed. Both comments and pings are currently closed.